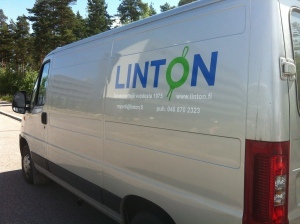 Linton is a family business founded in 1975. We have adjusted our operation during the years but the transport safety and smooth mail handling, have always been our main target during these 40 years in business. The seals are partly own production. Constant product development and proper tools guarantee that we can offer a wide assortment on plastic seals. Our international clientele include operators in chemical and food industries, transportation of valuables and airlines.We like to offer our clientele personalized products, solutions to the weak links in transportation, maximal letter secrecy and facilitate mail handling. If you can’t find the right alternative in our brochure, please contact us. With the help of our international co-operation network we can respond to most special needs.